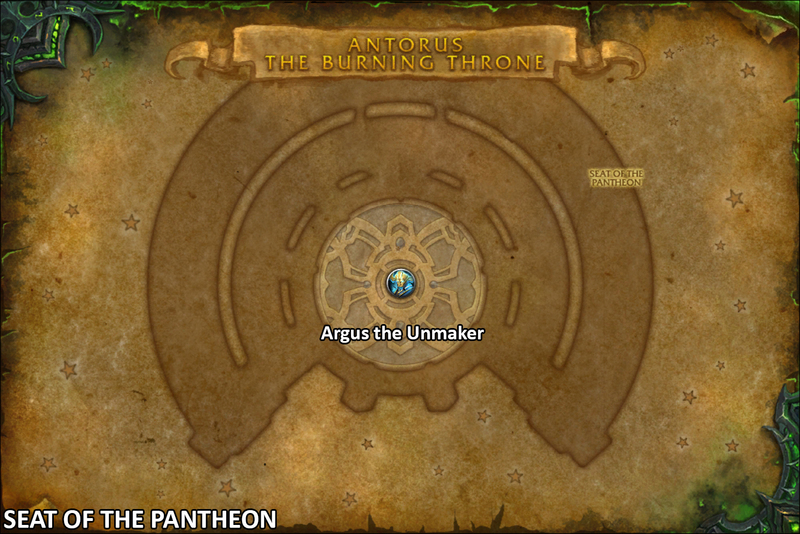 Antorus the Burning Throne is finally live, even in Europe! 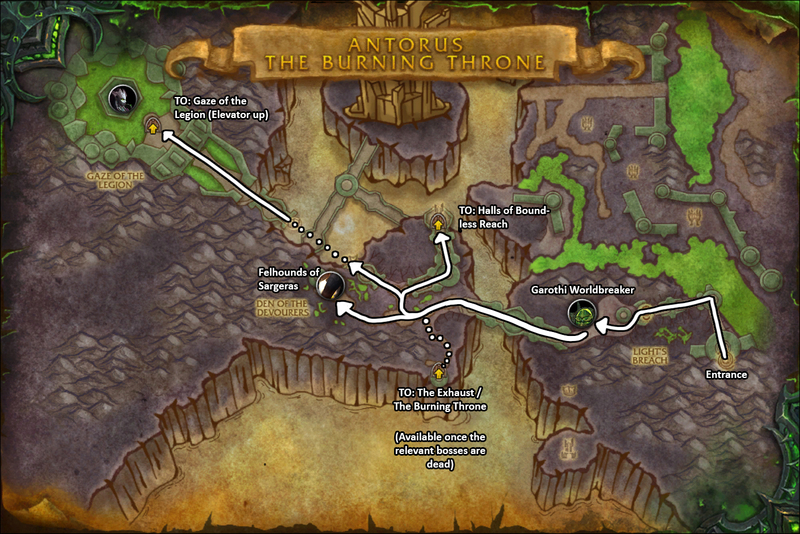 Here’s a quick recap of how to find your way through this very enormous new raid. I list the available boss orders, maps over the entire raid and cache missions. I hope this helps your first run through it. Good luck! From the entrance, you will first have to deal with Garothi Worldbreaker. When the first boss is done, you can choose between Felhounds of Sargeras, Antoran High Command, Portal Keeper Hasabel and Eonar the Life-Binder. Felhounds of Sargeras: After defeating Garothi Worldbreaker, cross the bridge and go down the slope. If you go straightforward you’ll find the hounds. 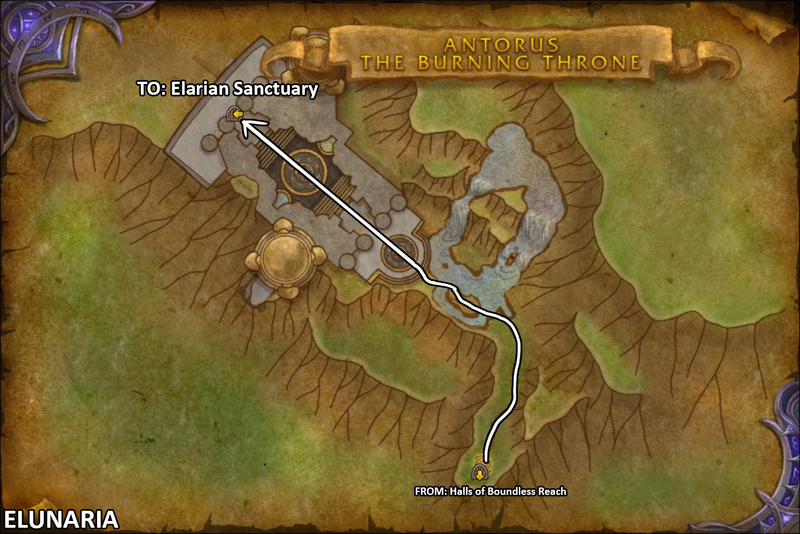 Antoran High Command: When you’re on the slopes looking down to the Felhounds, take a right instead. Shortly after, take a left and click on the portal. This teleports you across the chasm. 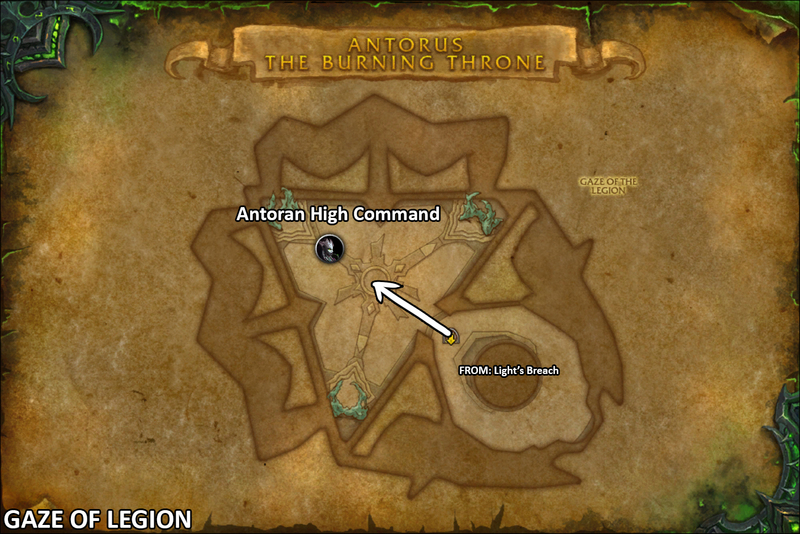 Enter the building and you’ll find Antoran High Command up the elevator. Portal Keeper Hasabel: From Light’s Breach, just at the crossroads close to the felhounds, take the northern portal instead to Halls of Boundless Reach. Go straightforward and you will find Hasabel waiting for you. 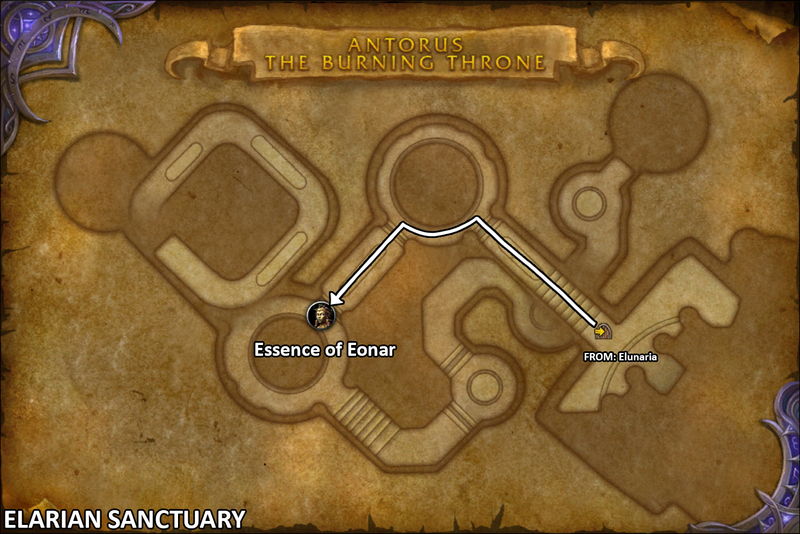 Eonar the Life-Binder: From Halls of Boundless Reach, take the southern portal to Elunaria. If you follow the long unwinding road through Elunaria, you’ll find yourself at the Elarian Sanctuary where Eonar is waiting. After you’ve killed the first 5 bosses, you can teleport to The Exhaust. The portal to the Exhaust is south of where the Felhounds were. 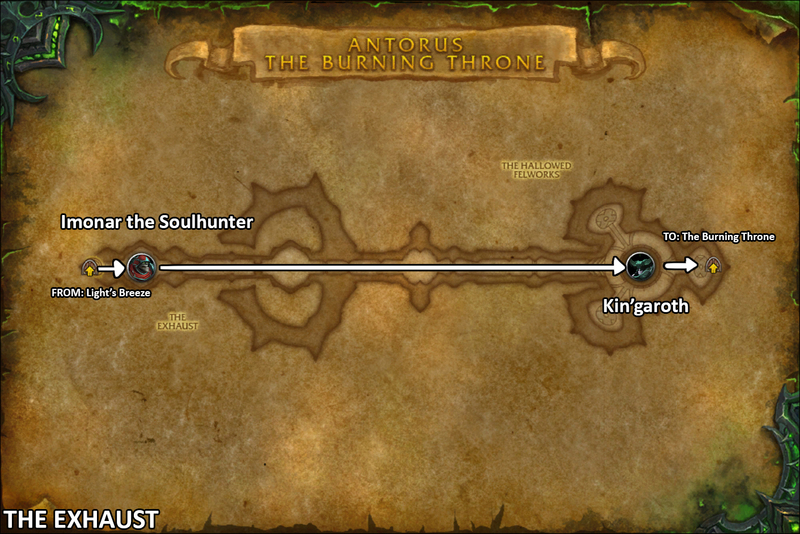 From there, you first encounter Imonar the Soulhunter and then Kin’garoth. 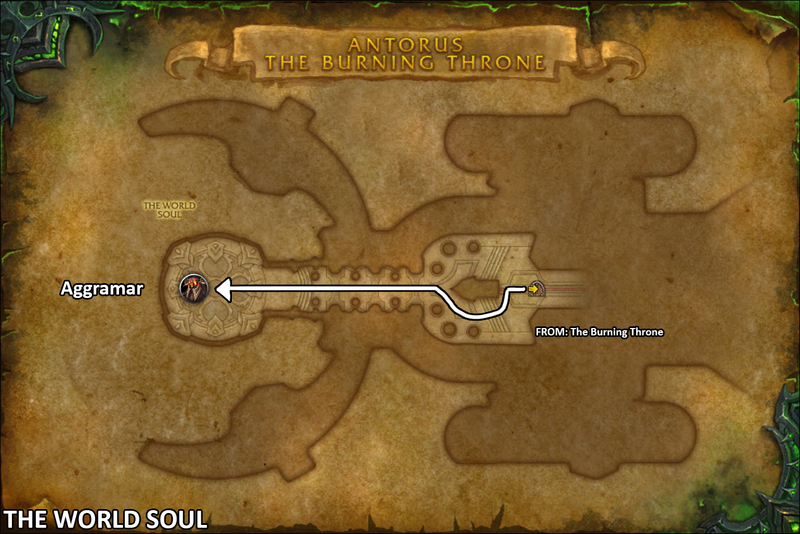 Once Imonar and Kin’garoth are down, you can use the teleport to the Burning Throne. Here you can choose between Varimathras and Coven of Shivarra. 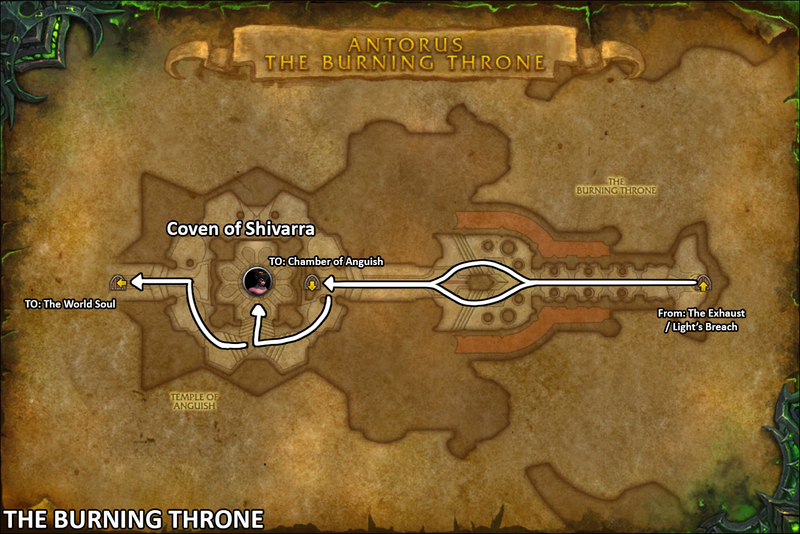 Coven of Shivarra: Walk straight ahead through the entrance to the burning throne. Go around the bend and you’ll find the Coven of Shivarra. 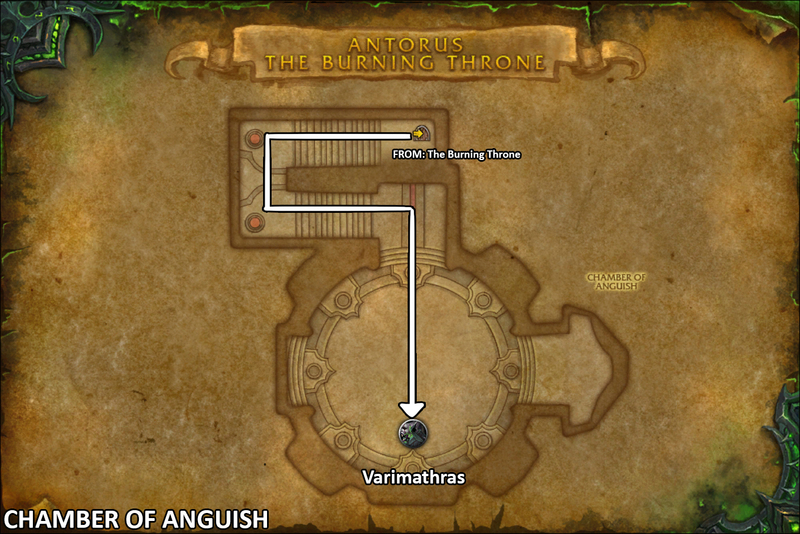 Varimathras: The entrance to Varimathras room is just behind the Coven of Shivarra. When Coven of Shivarra and Varimathras are defeated, it’s time for Aggramar. Walk up to the upper level of The Burning Throne and walk westward towards the World Soul. At the end of the bridge, you find Aggramar. Once Aggramar is defeated, you can talk to Magni nearby. He will teleport you to the Seat of the Pantheon. Good luck with your raiding!